"The pain of denying my dream to write songs outweighed my fear of failing," Michel says. Eryn Michel won the November/December 2017 Lyric Contest for her song “Old Habits” (read the lyrics here). 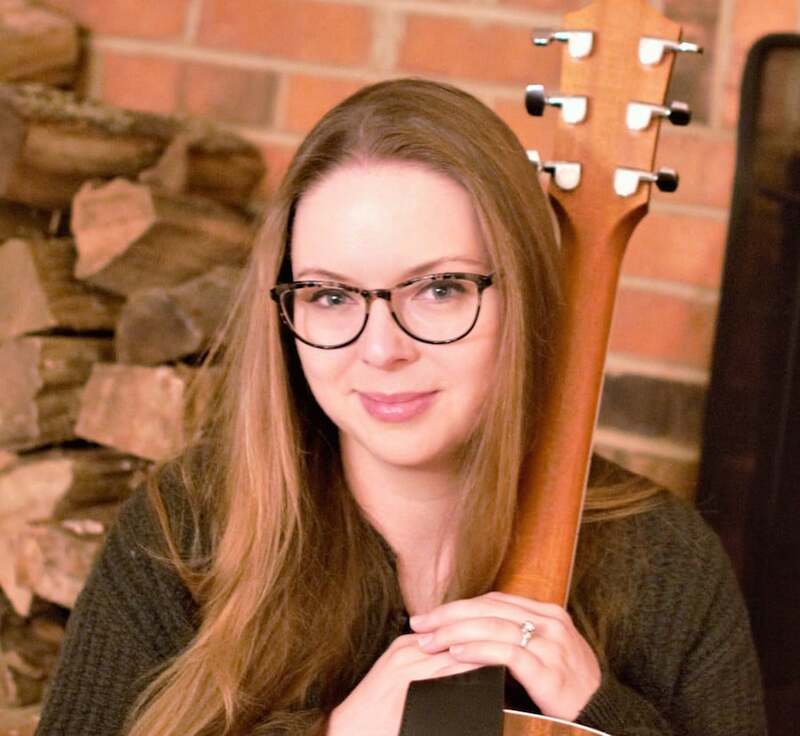 We recently spoke with the Maryland-based songwriter about setting aside time to write, her experiences in Iraq and how that affected her craft, and what success looks like to her these days. How did the song “Old Habits” come about? I wrote “Old Habits” in a single day, which isn’t typical for me. As a working mom, I wake up pretty early to make time to write and play guitar. I start my day by free-writing whatever is trapped in my brain, with no aim of writing a song. One morning in early September, after my family and I decided to give up alcohol for the month, I noticed that I had transferred the energy from my baser habits into playing guitar and writing songs, even to the point of hurting myself from playing too much. When we break a habit, that energy doesn’t dissipate. We just find something new to occupy us, for better or worse. Is there a line from the song you’re particularly proud of? The last line of the bridge feels most personal to me, and it’s also the final line I wrote: “So you tuck yourself in ’til you can’t feel the spin of the earth in your chest anymore.” I openly struggle with anxiety and PTSD, and that line captures what trying to escape those feelings is like for me. You recently decided to stop working full time and devote part of your working life to songwriting. What prompted the decision? My husband and my mother are my two biggest supporters; without their encouragement, I wouldn’t have been able to make the transition. Right after I had my daughter in 2015, I read Stephen Pressfield’s “Do The Work,” and “The War Of Art.” Both books have a resounding message about how our own resistance cripples us from following our calling. Something clicked in me; the pain of denying my dream to write songs outweighed my fear of failing. It took months of careful planning, but I’m so much happier now. You’re a veteran of the U.S. Army. Did your experience serving in the armed forces affect your songwriting in any way? How long have you been writing songs and what are the goals for your songwriting. And are you a performer as well? I wrote my first song at age 15. Until I turned 30, songs just came in fits and starts. Then I got much more serious about learning songcraft. I’m working up the courage to get back up on that stage, but performing isn’t what drives me. ​Success to me is exactly what my life looks like right now, except someone else would be singing my songs on the radio. Who are some of your favorite songwriters? Patty Griffin, Lori McKenna and Carole King are my all-time favorites. They walk that line between writing commercially and staying true to themselves, and their lyrics are timeless. My friend and mentor Cliff Goldmacher (who has writing credits on over 1,000 songs) is also one of my favorites because he’s imbued in me a true appreciation for songcraft. Finally, I love the songwriters in my community who I met through SAW-DC (The Songwriters’ Association of Washington, DC) and my guitar teacher Tony Polecastro. We give each other a safe place to bare our souls and receive gentle guidance. The best thing I ever did for my own songwriting is regularly connecting with other songwriters who are my kind of weird. Check out Eryn Michel’s website here.